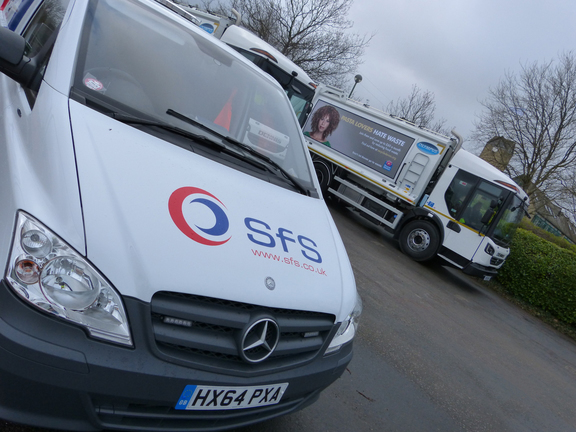 SFS is delighted to announce that it has retained its contract to provide and maintain the fleet for Teignbridge District Council for the third time in a row. The new seven-year contract hire agreement commenced on 1 April 2015 and involves the provision and maintenance of 65 vehicles from over eight different manufacturers, including refuse collection and recycling vehicles, sweepers and light commercial vehicles. The fleet comprises vehicles for the Authority’s waste collection service as well as for recycling, cleansing, environmental enforcement and animal welfare services. The fleet maintenance and workshop management part of the contract is already underway with SFS’s FleetWave management software currently being installed into the Teignbridge workshop. The new system offers superior functionality and keeps all the information about the vehicles in one place. MOT’s, LOLERS and certificates are all stored and schedules automatically generated to ensure vehicles and equipment are serviced and tested with minimal operational disruption. Not only can the information be accessed by workshop staff and external providers, SFS’s team of mobile service engineers also have remote access and can use the system to assist them with supporting customer’s fleets. A member of the Rothschild Group, with over 20 years experience in delivering successful contract hire, fleet and workshop management solutions to the public and private sector, SFS has an unrivalled combination of financial strength and experience, and the ability to meet the most complex of fleet requirements.